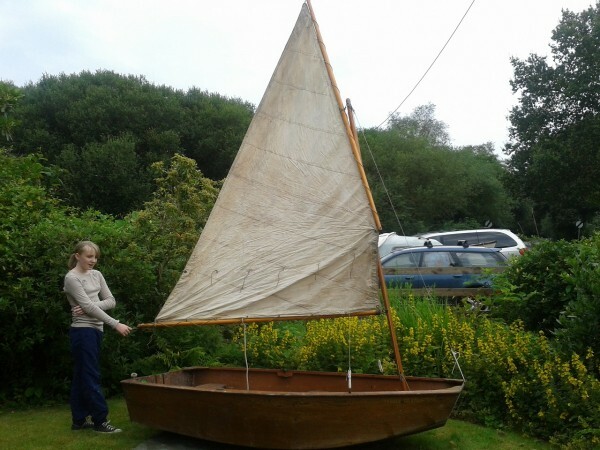 A varnished plywood gunter rig sailing dinghy, believed to have been built in the 1960’s/70’s. 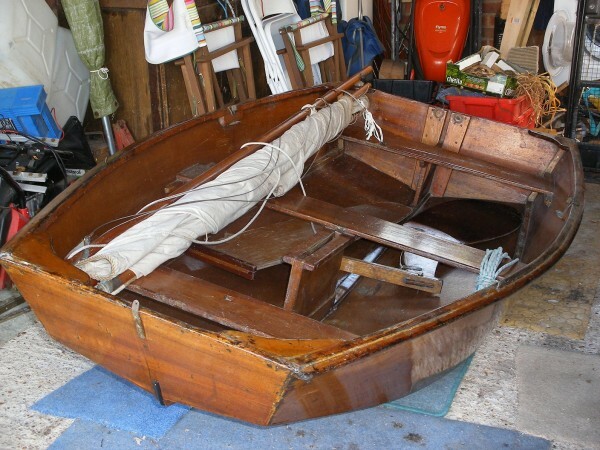 However she was stored by the original owner for 40+ years and is therefore still in good condition. Fits on a roof rack and is ideal for children to have fun with on inland waters. 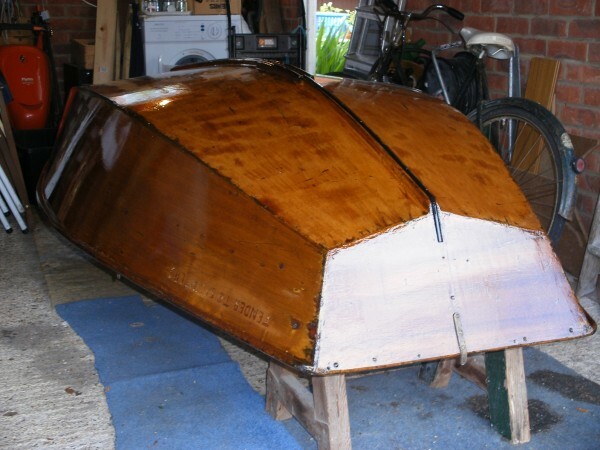 Marine ply, varnished inside and out. Three thwarts. Complete with dagger board and rudder. 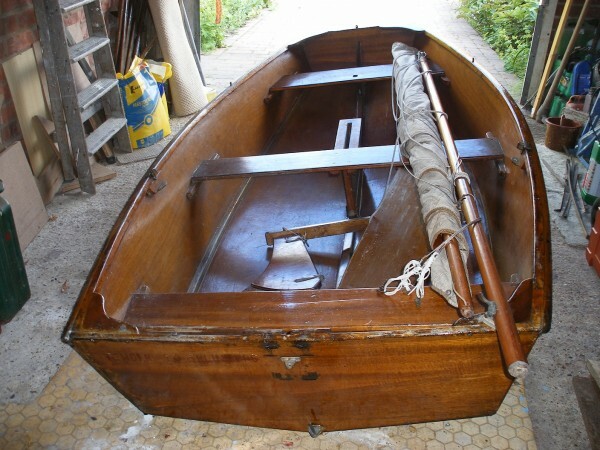 Gunter rig on varnished spars. Original white cotton mainsail, still in good condition as only lightly used.